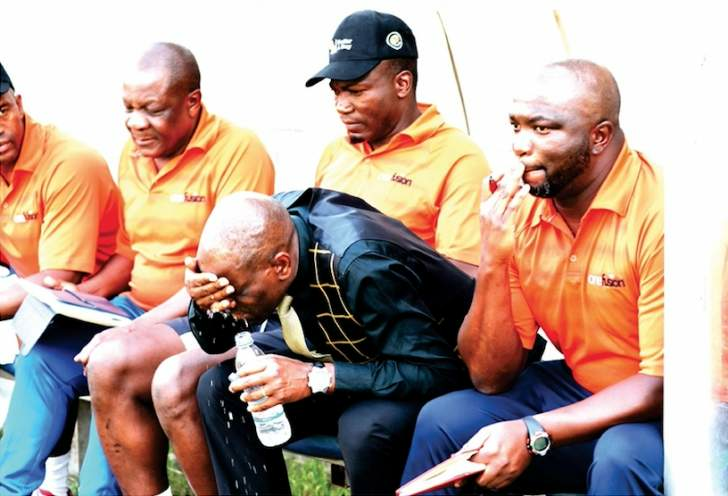 Under-fire Dynamos coach Lloyd Mutasa insists he will fight until the end and will not throw in the towel despite the Glamour Boys' continued poor form. DeMbare lost 1-0 to Harare City on Sunday at Rufaro Stadium which saw them slip down the Castle Lager Premiership log standings to 13th place with only 30 points from 26 games. The fast-fading Harare giants are now just one place and two points above the relegation zone with only eight games before they complete their 2018 campaign. In the last five matches, Mutasa's side has managed just a single win when they beat bottom side Bulawayo City 2-1 away from home. A lot has gone wrong for DeMbare this season and in the event that they continue with this disastrous form, they face a real prospect of being relegated to the second tier league. With his side low on confidence and facing a real challenge that requires an immediate response, Mutasa remains defiant. "I wouldn't want to be the coach and the judge at the same time. I think it's for those that are outside to judge me," Mutasa responded after he was asked if he would step down after the match. The former DeMbare midfielder, who led the club to a credible second place finish last season, believes his side will survive the drop despite failing to score in the last three matches. "Obviously the hope (to survive) is there because we still have many matches. If you look at where we are now, the destiny is still in our hands," Mutasa said. "I think it is a bit worrisome when you play three games and don't score a goal. It's for everybody to know that our biggest problem is putting the ball past the goal line. "The creativity is there; we are getting into the positions where we should score but just failing with the last touch. "You look at the result, it's not good enough but you look at the second half effort these youngsters put in, there was a lot of zeal and determination to break the duck." Mutasa was also miffed by the notion that there are no strong characters in his side as the reason for their struggles this season. "I wouldn't want to say that we don't have a leader in the team. If you look at someone like Marshall (Machazani), he is leading from the back and look at the shift that players like Denver (Mukamba) are putting in," he said. "It's only that we are going through a bad spell. Every team has a bad spell irrespective of having good leaders on the field of play." However, there is also another pressing problem for Mutasa in the form of the attitude of his players. Striker Kuda Kumwala failed to acknowledge the coach when he was substituted for Bret Amidu in the second half. Midfielder Gift Saunyama also took his sweet time to leave the pitch when he was replaced by Kudzanai Dhemere in the second period. Saunyama was later involved in a scuffle with supporters outside Rufaro after the match but Mutasa called for caution when dealing with the matter. "I was a player before and you look at the insults that these youngsters are getting out there, as a coach you would look at what Gift did, I want to believe that it's in the heat of the moment," he said. "You don't get this only in Zimbabwe but it also happens worldwide. As a coach, you would want to have an element of human factor and know what these youngsters might do. "No wonder why we say that in football you learn every day. These youngsters are not 100 percent perfect and we would want to teach them every day as we progress."